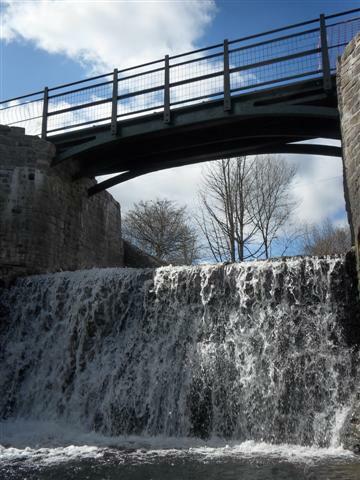 Aaron Brute’s bridge is located within the Blaenavon World Heritage site. Its own special historic significance is reflected in its status as a Scheduled Monument (MM220). It predates 1832 and formerly carried a tram road over the Afon Llwyd. The bridge is a single span structure comprising of three cast iron arches supporting a cast iron deck. The project was commissioned primarily because of concerns over the on-going integrity of the downstream end of the southern abutment and the weir beneath the bridge. 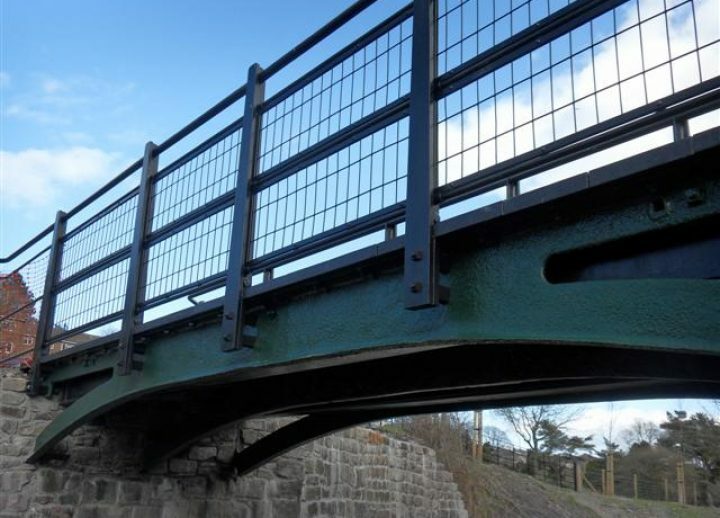 Any further loss of the abutment would result in the failure and collapse of the iron bridge structure resulting in irreparable damage to the Scheduled Monument. 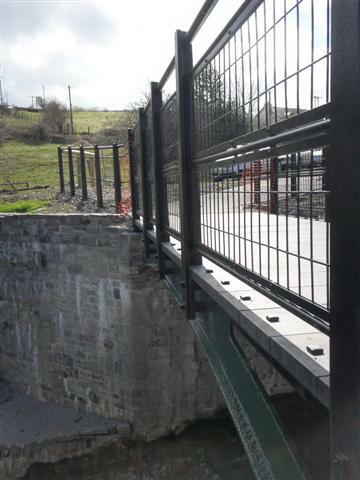 Works included the removal and storage of the existing cast iron bridge and the relocation of a gas main which was diverted to a temporary river crossing 6 metres upstream. 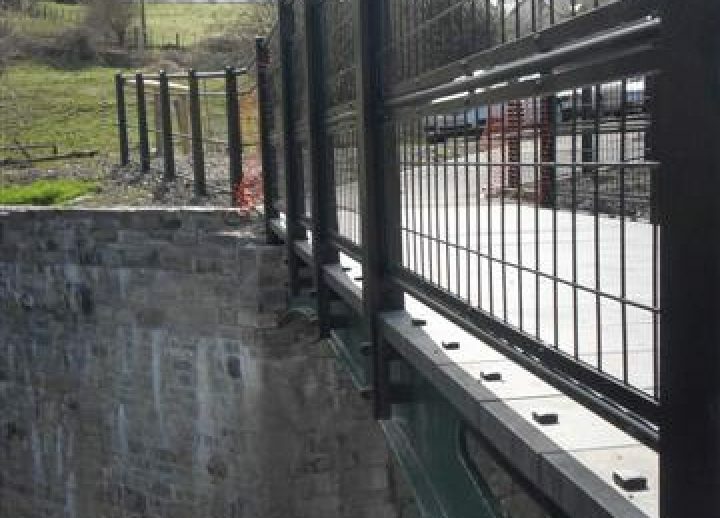 Consolidation and stabilisation works were undertaken to the abutments masonry work, wing walls and weir together with the associated refurbishment and repositioning of the cast iron bridge. A 20 tonne crane was required to re-site the bridge and due to access was located adjacent to the track immediately to the north of the bridge which required a significant boom length of 22 metres. Temporary works were designed and implemented to ensure the safe control of the flow of the watercourse with weather constantly monitored. 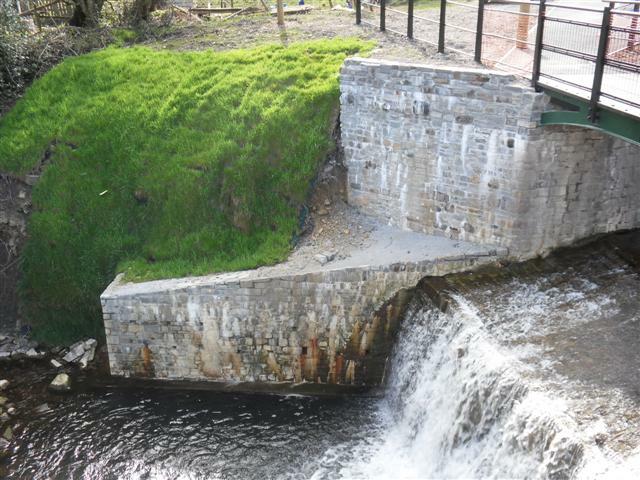 Remedial works were also undertaken to the existing weir along with improvements to the area next to the bridge which included surfacing, railings, improved links between bridge and adit, soft landscaping and removal of existing trees and overgrown areas to improve views of the bridge. 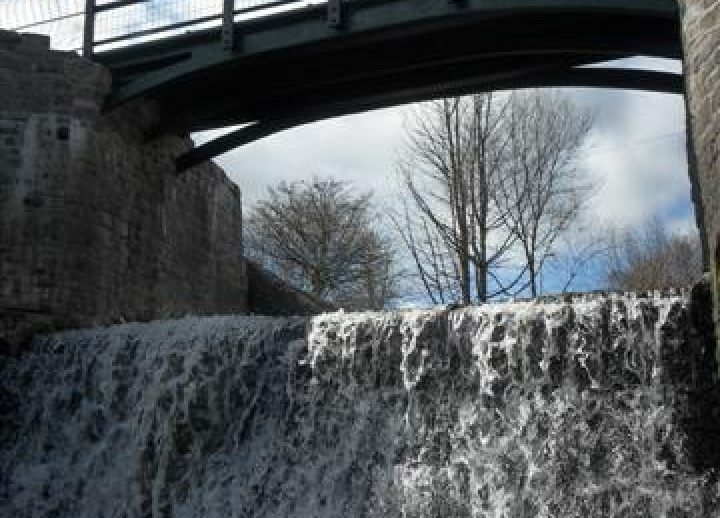 Flood consent had to be applied for through Torfaen County Borough Council before any works could take place and due to the ancient monument status of the structure and surrounding area all excavation works had to be supervised by CADW. A further requirement was that all masonry removed was required to be reinstated in the exact same location; therefore a strict labeling and storage process was implemented thus ensuring the structure could be rebuilt in the exact same formation. 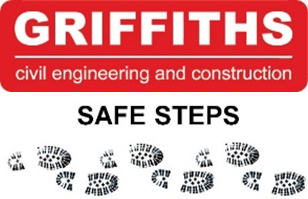 Bat and otter surveys were conducted on the structure and surrounding areas prior to works commencing on-site. Mitigation measures were put in place to ensure bat flight lines were maintained and a bat box has been fixed to the new masonry abutments with a further 3 boxes placed in surrounding trees. Otters were also known to be present in the locality of the bridge and an ecologist was also employed to check lying up sites near the bridge prior to works commencing. 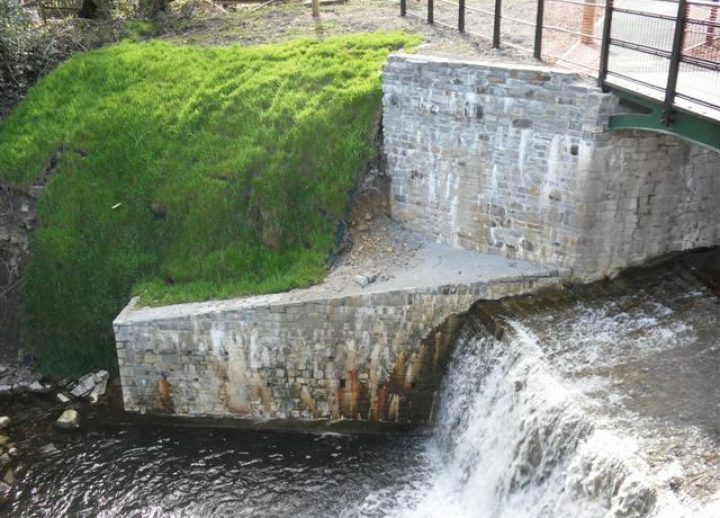 Significant environmental control measures were also implemented to ensure that no lime or concrete entered the watercourse. 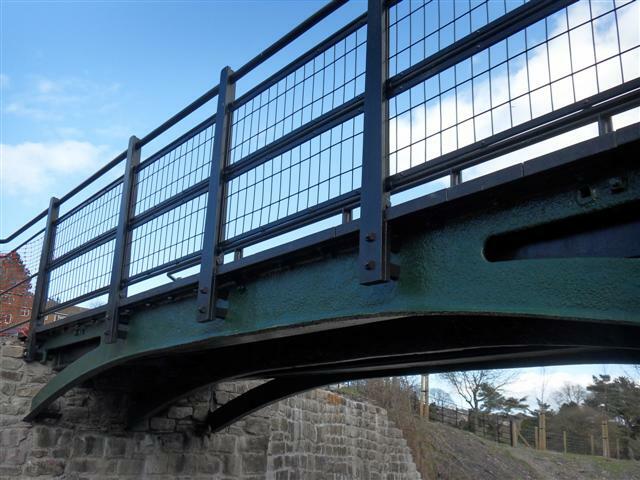 Aaron Brute’s Bridge has been repaired and strengthened with materials that will lengthen the working life of the structure whilst retaining the authentic appearance of the bridge.